Our touring board Neva is a true explorer's favourite. Its popular for its speed and manoeuvrability, which supported by its length and sharp nose. Designed to float easily and glide over flat water in a stable though fast manner: the Neva's shape supports all experienced riders. 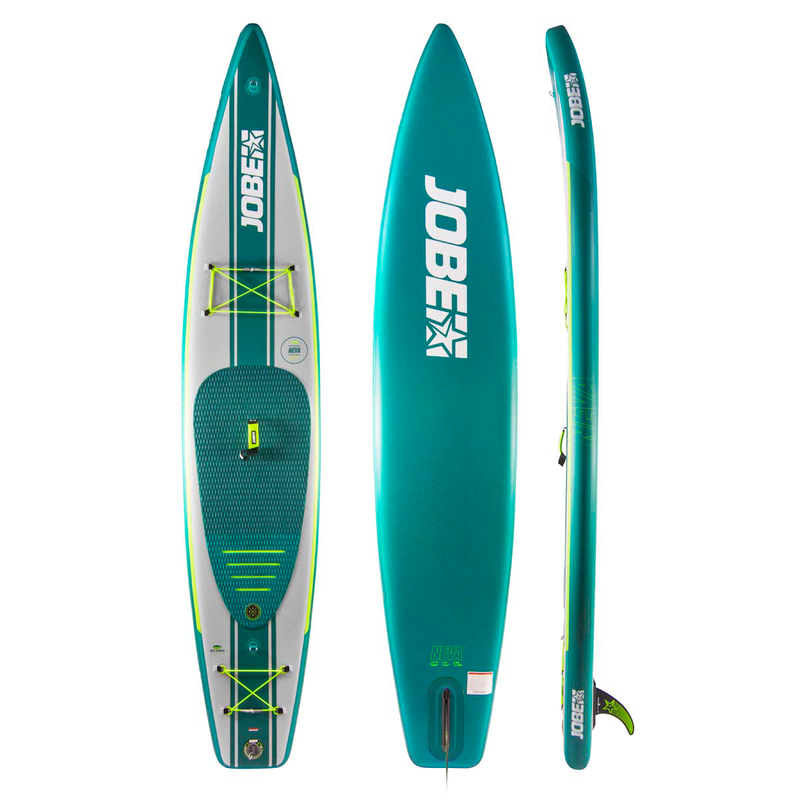 We manufactured this board using industry leading techniques like our innovative X-drop stitch technology. 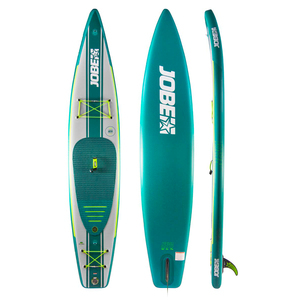 This construction gives our paddleboards their strength while making it lighter than ever before! On top of that we reinforced all our Aero SUPs with an extra pvc stinger on top of the board for more stiffness. To enhance the strength of the board even more we added rail tapes on the edges for more durability. If you want to go explore far away places this is the board for you. 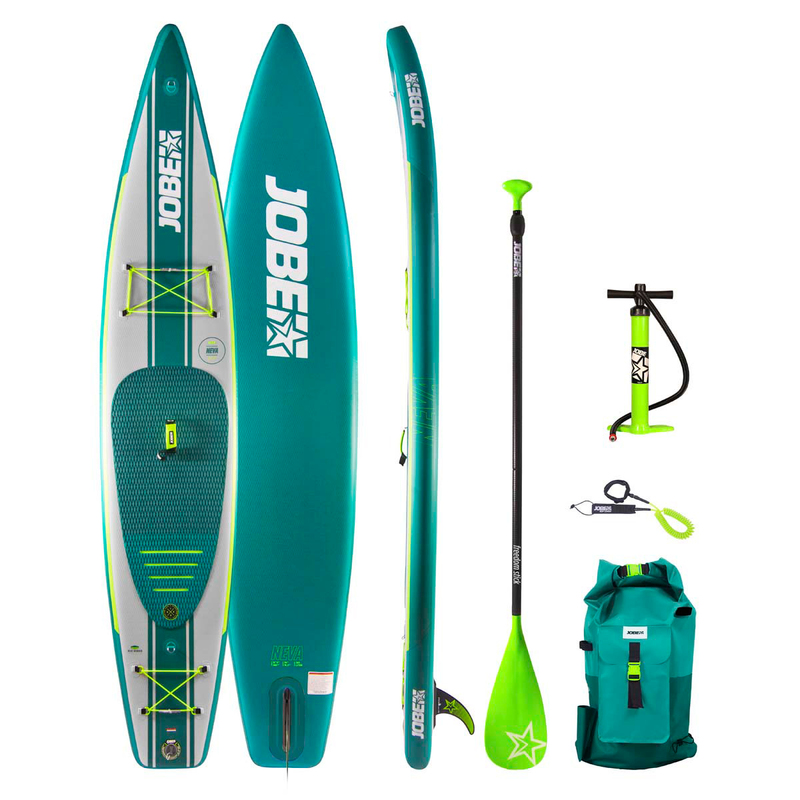 All Jobe's inflatable boards come in a fully equipped & favourable customized and adjustable backpack, including a waterproof backpack with front pockets, an aluminium paddle, a repair kit, a transparent leash and a shiny high-quality fin.